A Vejdirektoratet survey in July revealed that business drivers are three times more likely to crash than regular motorists, and that they are involved in a third of all crashes that cause fatalities. Now it appears there might be a good reason! 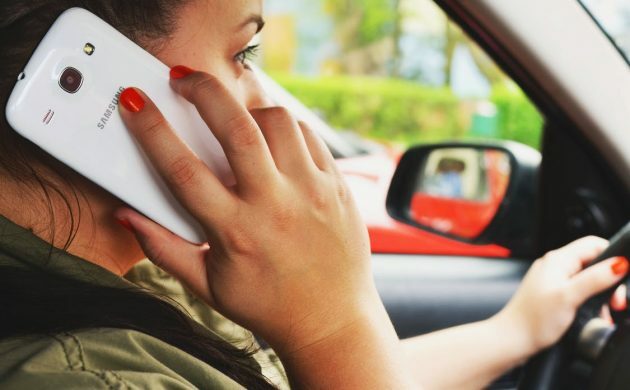 One in six regularly look at their mobile, according to a survey of 1,051 working drivers carried out by the Rådet for Sikker Trafik traffic safety organisation. The statistics not only covered business travellers in passenger cars (53 percent of the sample), but also drivers of buses/coaches (8), vans (29) and lorries (11). However, the 17 percent who confessed to often or occasionally looking at their phone to read texts, mails or content represents a fall from last year, when 26 percent made the same confession. Some 11 percent admit that they use handheld phones (2017: 17 percent), 10 percent write messages (14), 8 percent browse the internet (16), and 36 percent switch on or add input to their GPS (42). The guilty drivers were asked why they did it, and 19 percent said they couldn’t help it and 6 percent said they were bored. Some 22 percent maintained that their vehicle was their office and a further 15 percent said their employer expected them to be contactable. The results have been announced ahead of a traffic safety conference today in Copenhagen, which is being co-hosted by Rådet for Sikker Trafik and Forsikring og Pension, where the heads of 100 medium and large transport companies will gather. Inattention and fatigue behind the wheel will be a major focus. “It’s amazingly selfish and hugely dangerous when drivers are looking elsewhere when driving around with several tonnes of metal at the end of the accelerator,” commented the transport minister, Ole Birk Olesen, who will also be attending.